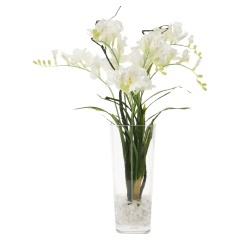 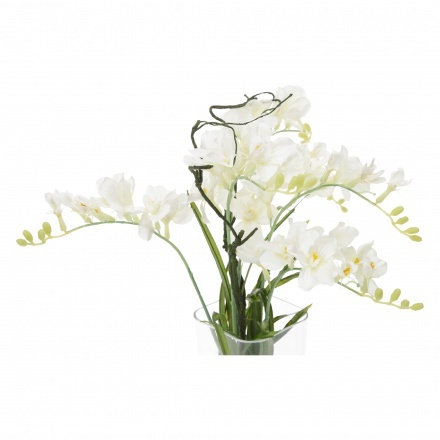 Bring in the soothing imitations of the gorgeous flowers and enjoy the beautiful sight. It comes with a bunch of flowers with a base to hold them together. 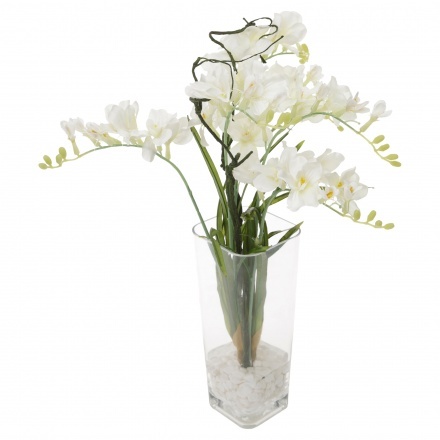 The fabric and ceramic is utilized wisely to give the planting its structure.